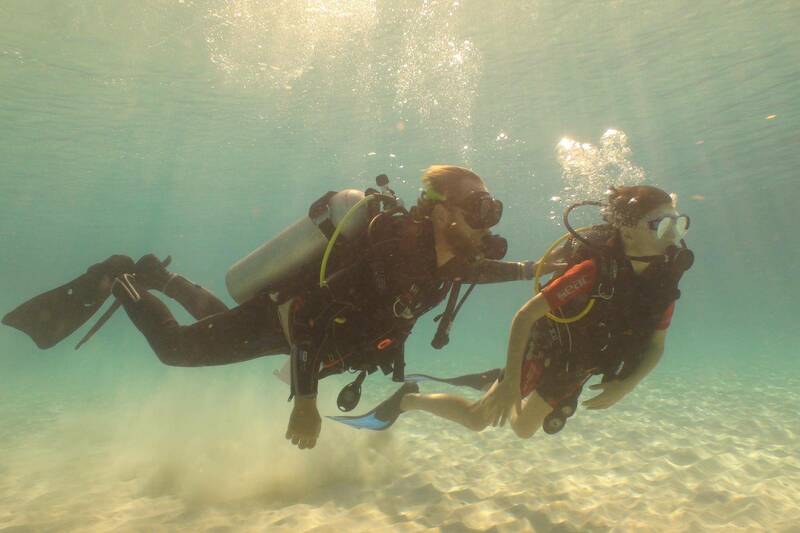 Children, starting from the age of 8 years old can already have a scuba dive experience. Great preparation for the PADI Open Water Junior or just a fun holiday experience. For children starting from eight years old, who would like to experience the underwater wold, and experience the thrill of breathing underwater. This program is fun and playful. One of our PADI Dive Instructors will explain briefly how the dive equipment works. Then we will go into the shallow water and play some games and watch the fish. After this... most children will ask their parents if they may go again!